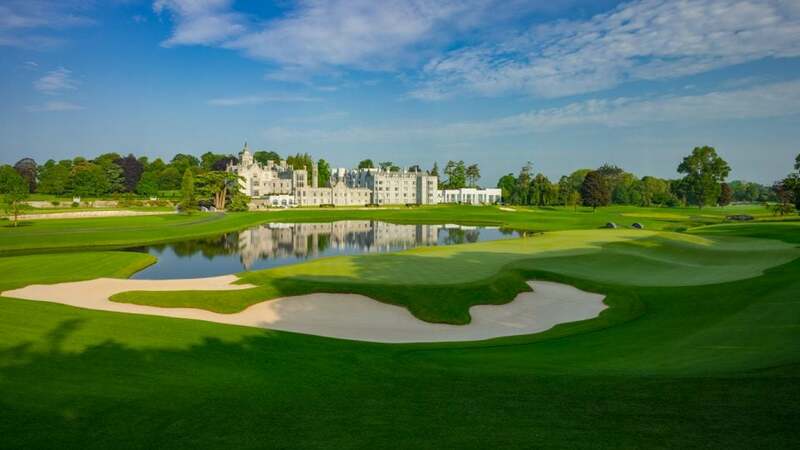 The Golf Course at Adare Manor was redesigned by none other than Tom Fazio. The Golf Course At Adare Manor Adare, Co. Limerick, Ireland 7,509 Yards, Par 72 adaremanor.com At Adare Manor in 1995, Robert Trent Jones Sr., built what many considered the greatest parkland course in Ireland. Twenty years later, the resort’s new owner, renowned Irish entrepreneur JP McManus, had other ideas: We can do better. So he gutted the layout and enlisted Augusta National’s consulting architect, Tom Fazio, together with Fazio’s senior design associate, Tom Marzolf, to start fresh. It’s a coin flip as to whether Adare is a brand new course—as Fazio asserts— or merely a major remodel, which involves a complete redesign. We’ll opt for the latter, as the routing and golf-hole corridors remain as they were, but the look and playing appearance from old to new is starkly different. Picture an endless green carpet of fairway grass, with no traditional rough, à la the home of the Masters. Although the flattish front nine at Adare won’t remind you of Augusta, everything else will. Only 42 bunkers dot the course, and they’re of brilliant white sand and simple shapes. Distinctive local flora accents every hole. But the greens are the story, propped up well above the fairways and sporting yips-inducing speed with slopes to conquer if you miss the putting surface. Look for a Ryder Cup here in the near future, which is precisely what McManus envisions.